The Cura Personalis Mentor Program, better known around the halls of Tri-Cities Prep as CPMP, was created with the term “cura personalis” firmly at the forefront of our minds. 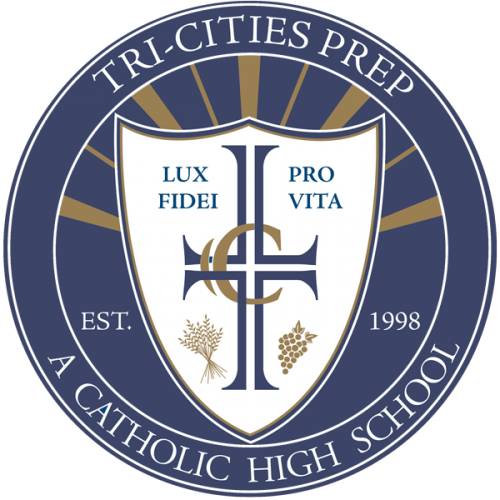 Cura personalis, briefly, means caring for the whole person, which at Tri-Cities Prep means not just focusing on the academic side of our students. Without our whole students in mind, we believe it possible that, as tight knit as we are, some students might fall through the cracks. Therefore, we decided to create small mentor-led communities for students to feel more connected to the school and looked after, in a way we felt they might not have been before. The Cura Personalis Mentor Program seeks to increase communication between staff and parents, as well as between parents and their own sons and daughters. After all, what’s a St. Thomas Aquinas-inspired Catholic school without strong families at home? Yes, we want strong academic students who are always striving to push their scholarly bars ever higher, but we also want to nurture the families within our fold. CPMP offers opportunities after school for students to have access to teachers outside of the classroom, it provides a quiet room in the school where students can get work done before sports practices, and it offers study and organizational tips to help them be the best prepared Jaguars possible.